Following the recent announcement that their original web series “Teachers” has been ordered to pilot by TV Land, the principals of the award-winning international commercial production company Cap Gun Collective (http://capguncollective.com) are very proud to announce the signing of the series’ co-creator and director Matt Miller to their roster for U.S. representation. The appointment is effective immediately, and was announced by Cap Gun’s executive producer Matt Abramson. Miller developed the “Teachers” web series alongside the sketch group The Katydids and produced it through Cap Gun TV, Cap Gun’s hybrid production studio that develops, produces, and markets original content for multiple platforms. The series includes dozens of webisodes edited by Tim Warnamen of The Whitehouse, and was first distributed through The Onion’s digital platform. Along with being one of Chicago’s most accomplished young theatre directors, Miller spent five years as a casting director for Paskal Rudnicke Casting. “I first met Matt Miller when I was a terrible actor auditioning for commercials and he was running casting sessions,” Abramson began. “We stayed in touch over the years, and when he approached us for ‘Teachers,’ we instantly knew it was a great fit. Very early into production, we realized that he is an extremely talented film director, and as shown in those episodes, he really knows how to get the best from everyone. 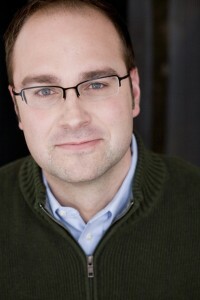 For the past 15 years Miller has directed for theatres large and small throughout Chicagoland. His critically acclaimed 2013 production of “The Seafarer” for Seanachai Theatre received four stars from the Chicago Tribune and two extensions; other notable credits include work with Steppenwolf, Mary Arrchie, Lifeline Theatre and Profiles Theatre. Miller is currently an adjunct professor at DePaul University’s Theatre School and a member of the faculty at both the Second City Training Center and The Acting Studio Chicago. Miller is also a proud 15-year company member of Barrel of Monkeys, a group that provides creative writing workshops for Chicago Public Elementary Schools that lack arts funding. On the U.S. roster for Cap Gun Collective, Miller joins Abteen Bagheri, Docter Twins, Alex Fendrich, Tom Haines, TomasMankovsky, Jeppe Rønde, Michael Sewandono and Spooner/Bonde. For commercial and branded content assignments, the collective is represented on the East Coast by The Family, on the West Coast by Novick & Associates, and in the Midwest by Them Reps, while Tommy Labuda represents the roster for music videos. Cap Gun Collective is an award-winning, international commercial production company. A creator of original content and a conduit for directors, writers, producers and brands, our missions are to entertain, tell great stories, create memorable characters, and present unforgettable imagery. In 2012, Cap Gun Collective won the first-ever Comedy Central Short Pilot Competition. To learn more about the company, its directors, and Cap Gun TV – a hybrid production studio that develops, produces, and markets original content for multiple platforms – please visit http://capguncollective.com.